The Chicago Auto Show is well underway and details of the latest models and newest technology are coming out every day. The show, held at the McCormick Place is the largest auto show in the country with over a million square feet of automotive goodness to drool over. If you have the chance, we at DARCARS highly recommend a visit. Wandering the show floor is an auto lovers dream. You can get up close and personal with your favorite cars, as well as catch a glimpse of some truly exotic vehicles. While most of us won't be shopping for a Bugatti anytime soon, seeing one in person can be thrilling. Here is a quick rundown of some of the new or updated models that grace the show floor in Chicago. If you see something you like, come down to your local DARCARS dealership to check them out in person. The big news from Ram is a completely redesigned luxury version of their light and heavy-duty pick-up trucks. The trucks have been designed to be bold, and eye catching with plenty of chrome and all new grilles. Inside they are all luxury with leather, real wood, and LED lighting. The 5.7-liter Hemi V8 in the 1500 cranks out 395 horsepower and 410 pound-feet of torque. While the SpongeBob Sienna is a must see for kids, Toyota is also rolling out a special edition Corolla and Camry as well as a refreshed Avalon. The 2016 Corolla Special Edition comes with 17-inch alloy wheels as well as a new navigation and audio system. A push-button start is also standard. The 2016 Camry Special Edition gets a 2.5 four cylinder engine as well as 18 inch alloy wheels. Smoked taillights and an upgraded navigation and audio system are standard. The 2016 Avalon benefits from a wider, lower grill, LED headlights and some new chrome accents in the rear bumper. It will be available in five trim levels, some of which include a 7-inch Entune Audio system. Ford is showing off their brand new GT supercar, which is a mid-engine vehicle that has a twin turbo 3.5 L engine under the hood generating more than 600 horsepower. The body is made of carbon fiber and aluminum and the price tag will probably top $100,000. Making its global debut, the 2016 Rio is a five-door subcompact sedan. It features a 1.6 liter four cylinder engine and standard equipment such as air conditioning, disc brakes, and steering wheel mounted audio controls. Kia also revealed its Trail'ster concept car, a compact electric hybrid SUV. The FWD system engages only when it detects slipping and its electronic systems uses kinetic energy to recharge itself. We love Nissan here at DARCARS and so do automotive critics. Nissan grabbed a couple of awards at the show for its Murano including the U.S. News & World Report Number 1 Affordable Midsize SUV. The Murano also won Motorweek's Driver's Choice Award for Best Small Utility. Nissan also showed off its 370Z NISMO Roadster. While currently a concept car, it could soon end up in production. While the S60 Cross Country was introduced at the Detroit Auto Show its also on display in Chicago. This new addition has a 2.5-inch ride height advantage over the sedan with a 2.5 liter 5-cyclinder under the hood. If you have ever taken a road trip with the kids you may be interested in a new feature on the 2016 XC90 SUV. Optional mounts on the back of the front backrests hold a tablet for easy viewing for rear passengers. 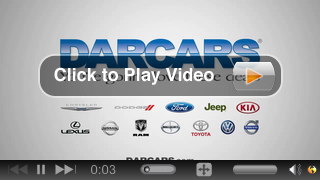 Bring your iPad down to DARCARS to test out this new and innovative feature. The Challenger SRT Hellcat hit the stage in Chicago. It features a supercharged 6.2 liter SRT Hemi V-8 which cranks out a crazy 707 horsepower. It comes with your choice of an eight speed automatic with paddle shifters or a six-speed manual transmission. The all-new Renegade is being introduced at the Chicago show. This cute and rugged vehicle has over 70 security and safety features as well as a "My Sky" open air roof panel. This beauty is available in 10 colors which include Solar Yellow and Omaha Orange. Come down to DARCARS to have a look at the rainbow of Renegades. This was just a brief glimpse of what is coming down the pipeline to DARCARS showrooms. Stop by anytime to see all of the latest models and the newest automotive technology.